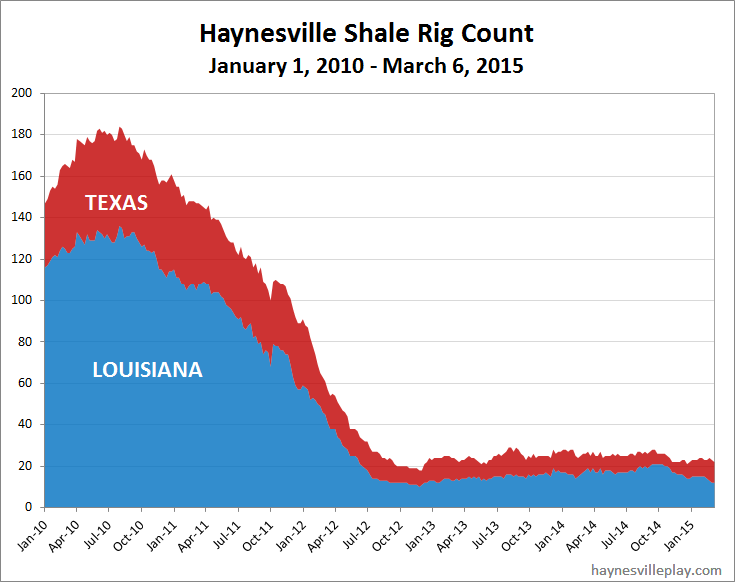 Last week's Haynesville Shale rig count was down one to 22. 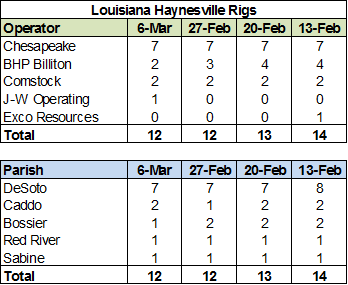 Louisiana was unchanged at 12, but J-W added one and BHP was down one. 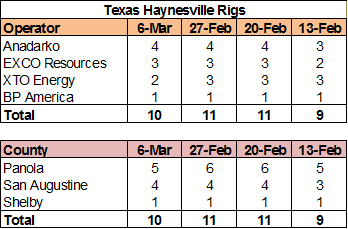 Texas was down one (XTO) to ten.